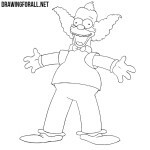 Who is the most sinister character in the Simpsons? 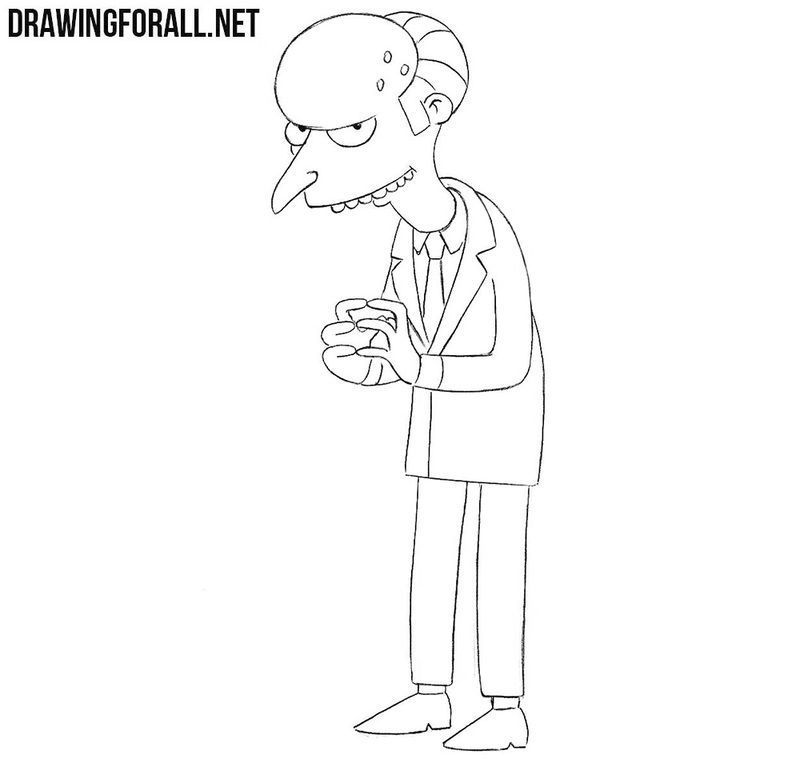 We think that this is Montgomery Burns – an eccentric businessman, constantly making mucks. So, let’s start the lesson about how to draw Montgomery Burns. 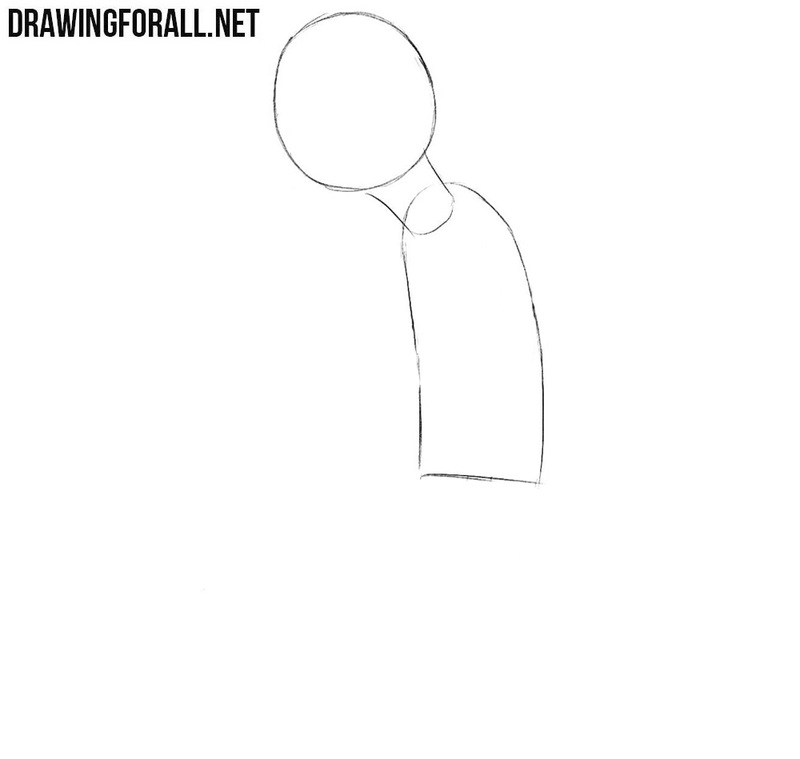 We sketch the head in the form of a circle, neck and outlines of the torso. Now we need to draw the outlines of the legs and arms crossed in a characteristic posture. 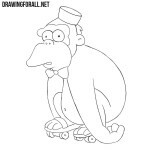 Draw the outlines of the round forehead and eyes. 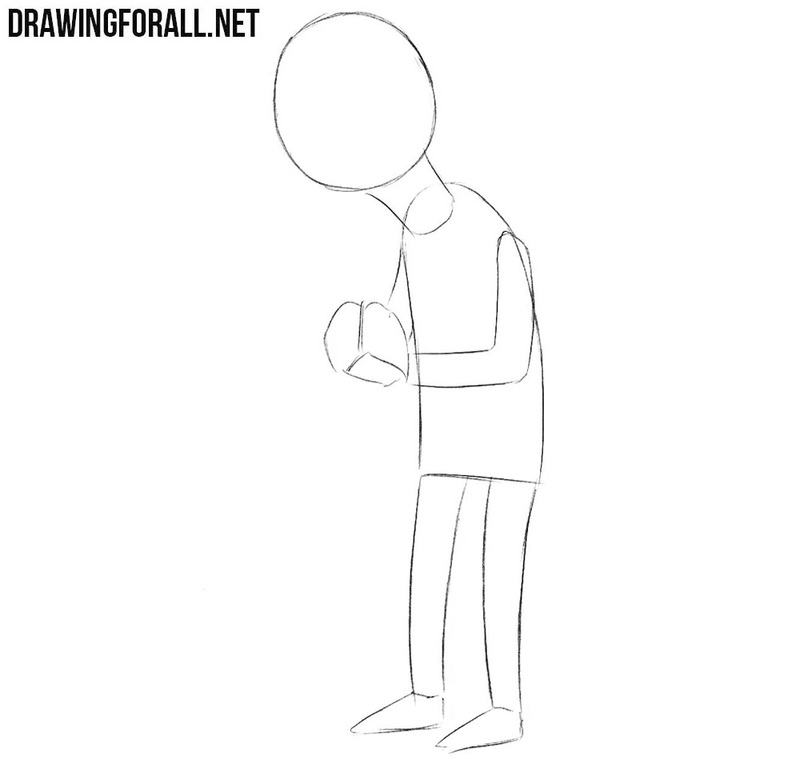 Draw the pupils and move to the fourth step. 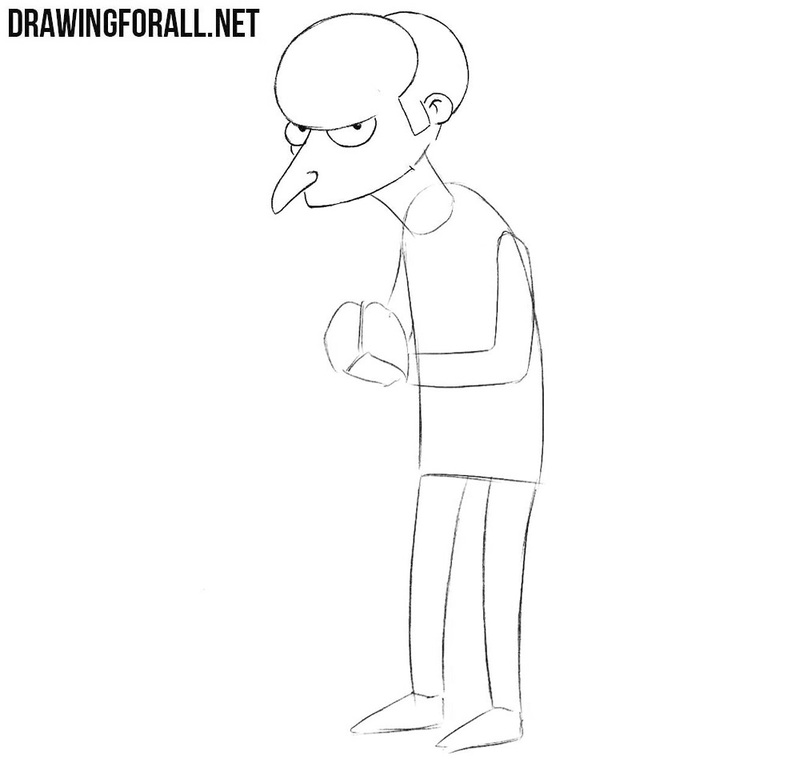 Now draw out a characteristic long and sharp nose and upper lip. 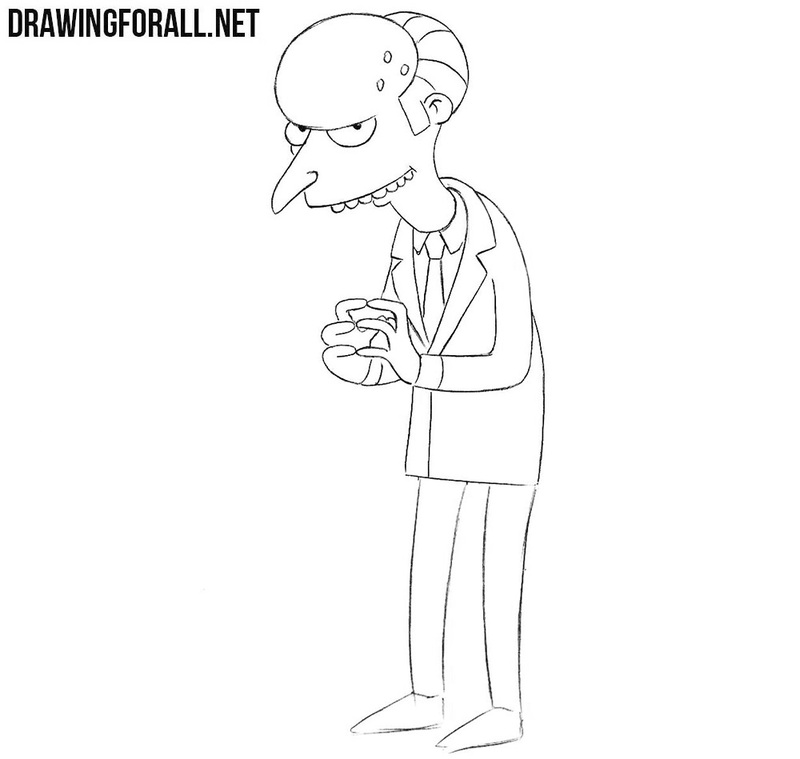 Now draw out the remains of mr. Burns’s hair and his ear. Let’s now draw the outlines of the teeth, lower lip and thin neck. Also draw the dots on the head and line on the hair. A fairly complex and painstaking step – here we need to draw the collars of the shirt, jacket and tie. Now go to the arms and draw the sleeves and long and thin fingers, connected in a characteristic gesture. 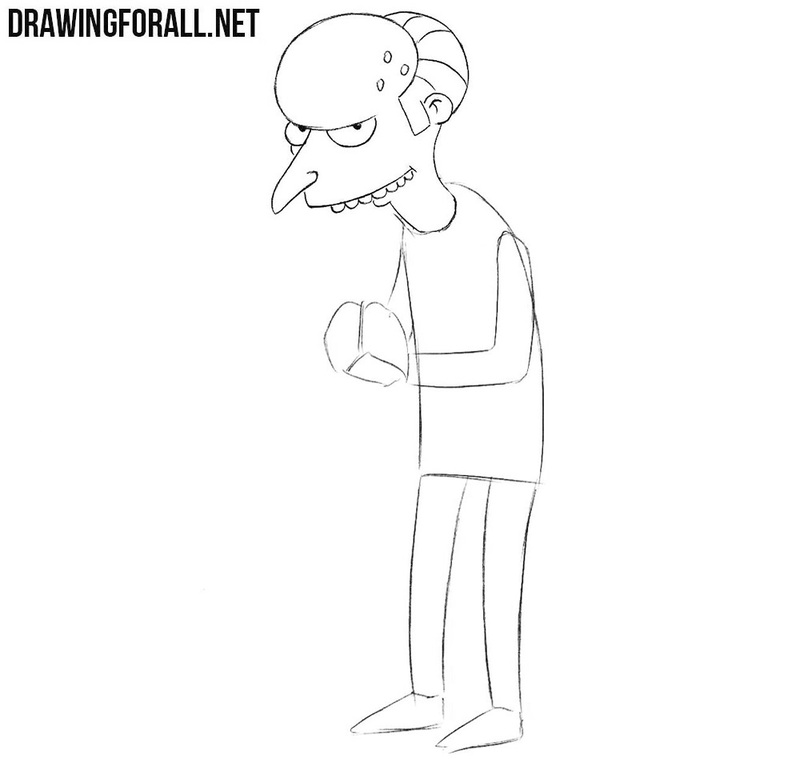 In this step of the lesson about how to draw Mr. Burns, we draw the lower edge of the jacket. 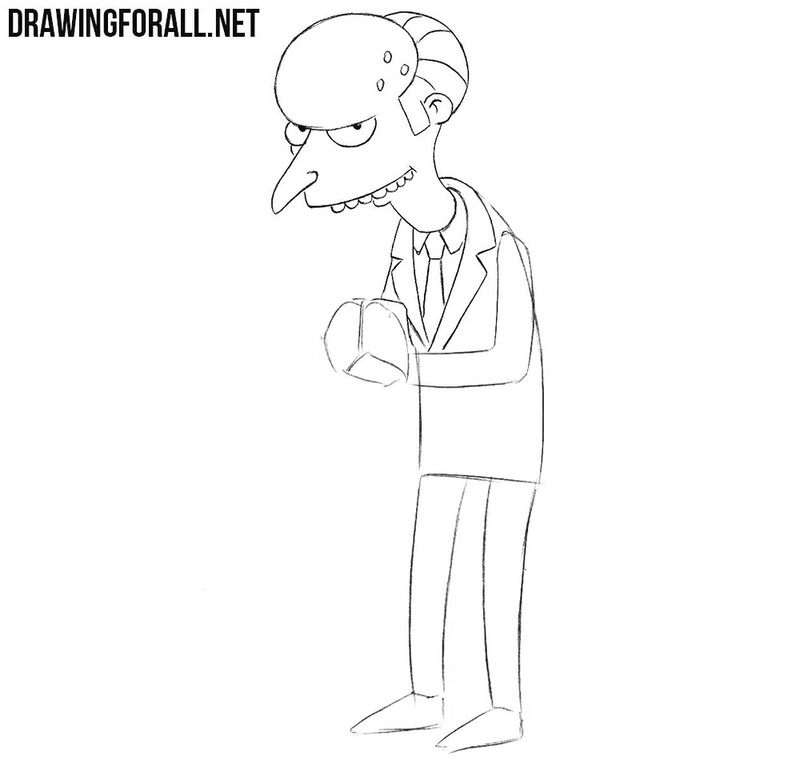 And it remains for us to only draw the legs and shoes of our eccentric businessman, and Mr. Burns is ready. 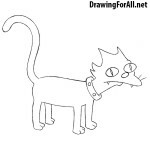 So, the drawing lesson is done, but we still have a lot of characters to learn how to draw. 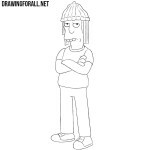 We have already drawn a lot of characters, and will draw no less. 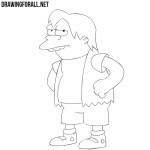 If you did not find the character that you would like to learn how to draw, then write us about it in the comments to this article. Besides write to us your wishes and recommendations, and in general, write to us something, we will be very glad.